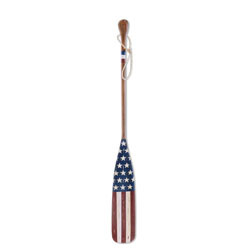 This vintage style oar enhances multiple design aesthetics from nautical, to rustic, to classic, to Americana. 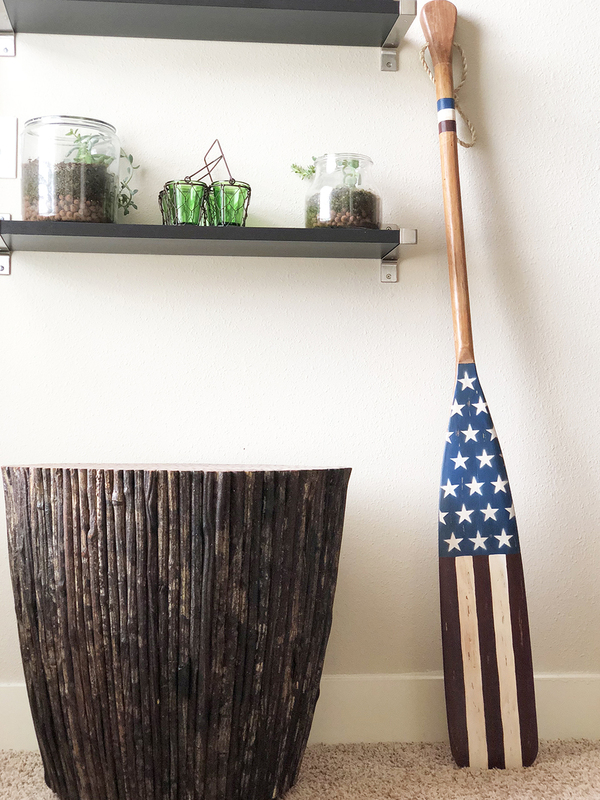 The solid wood, eco-friendly piece is handmade through the honed talents of highly skilled artisans. 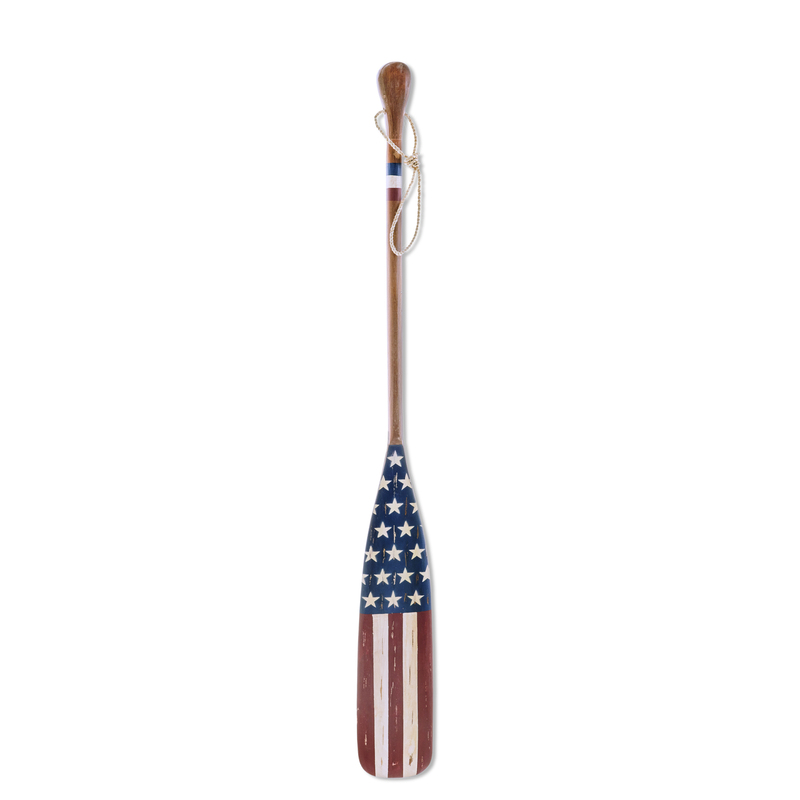 The distressed American flag pattern gives this oar a timeless feel as if it has been passed down for ages.